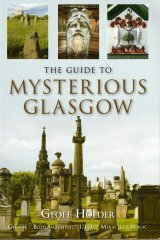 Born Glasgow, the son of a metal worker and brother of painter Alexander Kellock Brown. He trained under his father and attended sculpture classes at GSA . After winning a scholarship he moved to London to study at RCA and RA Schools under Edouard Lanteri (1848-1917). Whilst in London he fashioned the balconies on the Savoy Hotel (1888-9). Returning to Glasgow, he taught modelling, metalwork and repouss� at GSA , 1888-98, to students Albert Hodge , J P Main and J H Mackinnon . His improvements in the life classes were noted by John Mossman , H H Armstead and W H Thornycroft . A member of Mackmurdo's Century Guild (briefly its chief metalworker), the Art Workers' Guild , the Scottish Guild of Handicrafts and the Scottish Society of Art-Workers, he practiced as an independent sculptor from c.1892. Woodside District Library, 343-47 St George's Road (1902-5); Govanhill, 170 Langside Road (1902-6); Bridgeton, 23 Landressy Street (1903-6); Dennistoun, 2a Craigpark (1903-6); Hutchesontown, McNeil Street (1904-6); and Parkhead, 64 Tollcross Road (1904-6). His many monuments and memorials include, the John Watson Memorial Fountain, Hamilton (1893); the Monument to George S Burns, Glasgow Cathedral (1896); the John Robertson Cenotaph, Southern Necropolis (1912); the Titanic Disaster Memorial in the former Institute of Engineers and Shipbuilders, Elmbank Crescent (c. 1912); the John Stewart Memorial, City of Glasgow Friendly Society, 198-200 Bath Street (1920-1); the Thomas Miller Monument, Necropolis (1922); and the David Livingstone Statue, Blantyre (1913). He also executed a number of figurative War Memorials after World War I: Penpont (1920); Inverary (1922); Largs (1922); and Johnstone (1924). He exhibited regularly at RA , RSA , and RGIFA from 1887, showing genre works, busts and Burns subjects, including an unsuccesful model for the Paisley Burns statue competition of 1893. He died of heart failure in Cambridge Street, leaving a colossal statue of Burns unfinished. He is represented in GMAG by The Thresher, a bronze statue of Burns.